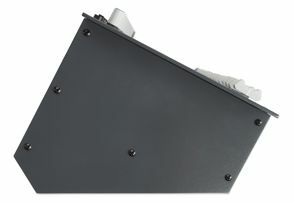 · Ten - 100mm Fader channels. 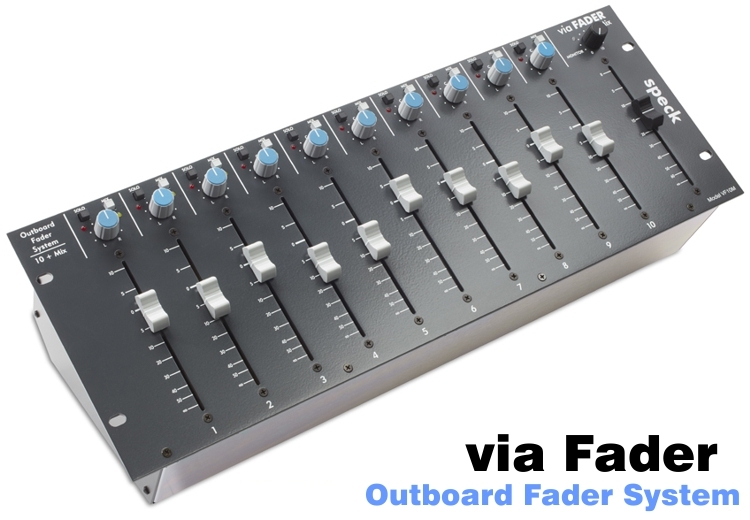 · All fader channels have active-balanced inputs and outputs on DB25 style connectors. · 100% analog signal path. · Ultra-low distortion transparent signal path with +28dBu maximum input and output. · 10dB gain boost select available for each fader channel. · Two mounting choices: Place on your desktop or install in a standard 19" rack. · The Model VF10 has the industry standard 1.5" spacing found on the 10 slot 500 series rack. · 120V or 230V external power supply included. · Channel mix assign in conjunction with the pan pot, allows the channel to be mixed to the main output. · Channel In-place solo allows you to isolate any input channel to the monitor. · 100mm stereo master fader. · Monitor master that operates "post" of the mix stereo master fader. · Master output connectors: Balanced TRS mix output jacks, balanced TRS mix Insert send & return jacks, and balanced TRS monitor output jacks. · Optional Link connectors for expandable mix section. · Sixteen - 100mm Fader channels. The via Fader is the work of Vince Poulos, the designer and owner of Speck Electronics. Other products include the X.Sum line mixer, EQF 810 equalizer, and MicPre 5.0 preamp. "via Fader" is an exclusive Trademark of Speck Electronics.